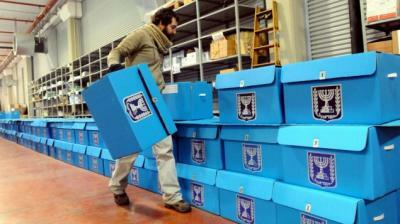 Likud activists placed 1,300 hidden cameras in voting booths in Arab areas, in an attempt to prevent fraud. According to the Central Elections Committee, hidden cameras may only be used in unusual cases in which fraud is suspected. According to the pamphlet, during the elections held March 17, 2015, there were 712 reports including 348 eyewitness accounts of attempts to forge ballots. These attempts were blocked by activists standing at the voting booths, the pamphlet explained.